Pepper box owned by John Hancock, Old State House, Boston, Massachusetts. Made by jacob Hurd, a competitor of Paul Revere, this pepper box bears the Hancock family crest. 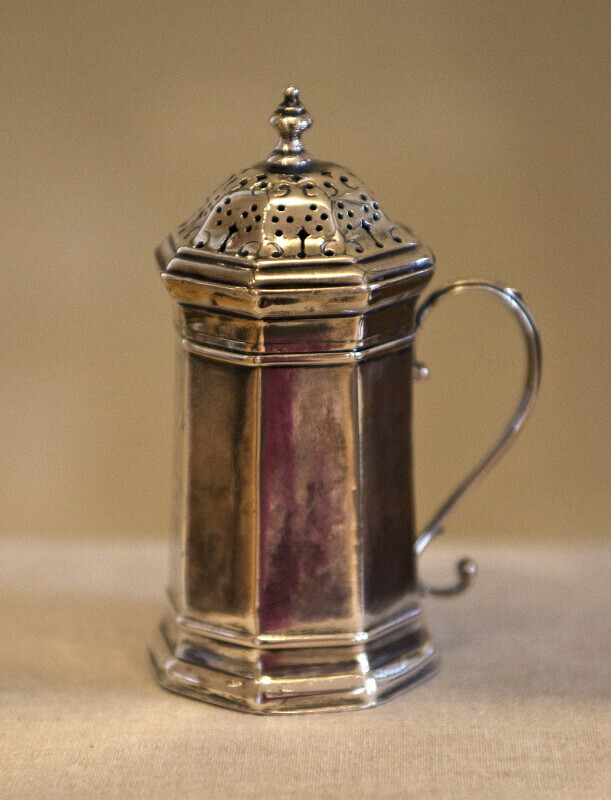 It was probably a wedding gift in the 1730 marriage of Lydia Henchman and Thomas Hancock, John Hancock's uncle.